Jackie Gallagher is hoping to catch up with some old friends at Wolves’ game at Peterborough this weekend – after revealing that it was his impact in the fixture more than a quarter of a century ago that earned him his big chance at Molineux. 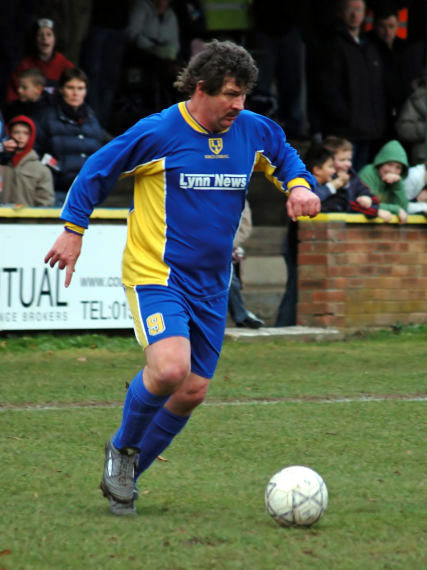 The striker, who is still playing for Peterborough Veterans at the age of 55, will be at London Road in a meet-and-greet capacity at League One’s match of the weekend. 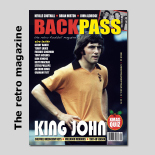 Graham Turner’s Wolves had more trouble with Posh than they did against most teams as they rampaged through Fourth Division defences and Gallagher has his personal memories of the clashes. “I scored at Molineux when we won up there on New Year’s Day in 1987,” he said. “Graham Turner, Steve Bull and Andy Thompson had not long arrived and they were just getting going. “They were into their stride, though, when they came to Peterborough on Easter Saturday and beat us with a goal by Bully. I remember thinking I’d equalised with a header but Mark Kendall made a great save. Peterborough won the return meeting at Molineux but crashed 4-0 there in the Sherpa Van Trophy in the same season and are now striving to recover the ground they have unexpectedly lost in the promotion race in the last few weeks. Gallagher, who still lives 16 miles from London Road in Wisbech, saw the home defeat handed to Darren Ferguson’s side by Crawley in August and was also present when Stale Solbakken’s Wolves won there 14 months ago. “I was on corporate duty that day last season as well and had hoped to meet up with Mick Gooding, who I haven’t seen since leaving Wolves, and George Berry,” he added. “But they couldn’t make it. “This time, I will be with my brother and gather that some members of Derek Dougan’s family are in attendance as he played for Peterborough as well. “I also hope to get to Wolves some time this season. I was on holiday in Cuba when they had that Sherpa Van reunion before the Burnley game at the end of last season but I spoke to Micky Holmes a few weeks ago and I still travel to the city about once a month with my courier business to see a fabric trader just off the ring road. 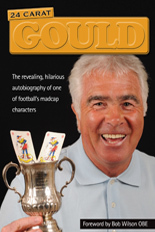 “I went to one of their home games in the Premier League – I think it was against Bolton just after the stand was finished – and I also went to see Bully at Kings Lynn when he was managing Stafford Rangers. Gallagher is a team-mate of David Gregory, Micky Gynn, Tommy Robson and Ian Benjamin in the Posh Veterans team – ‘I play anywhere, even at left-back’ – and he also plays in Wisbech on a Friday night. The burly forward in action in his post-Wolves non-League career. 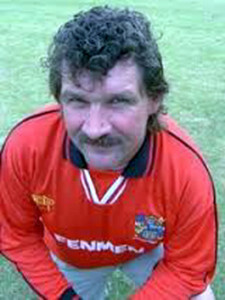 He had no fewer than three spells at London Road, the first straight after leaving school, the second when they were managed by Peter Morris and finally when bought by former Albion captain John Wile. What is less well known is that he also had a spell as a schoolboy at Norwich and a three-month trial at Aston Villa, the latter under Ron Saunders in the mid-1970s when he was hopeful of winning a contract. His well-travelled career also took him to Hong Kong, where one of his colleagues with Eastern AA was Bobby Moore. Posted on: Tuesday, November 26th, 2013.